Igorot Native. 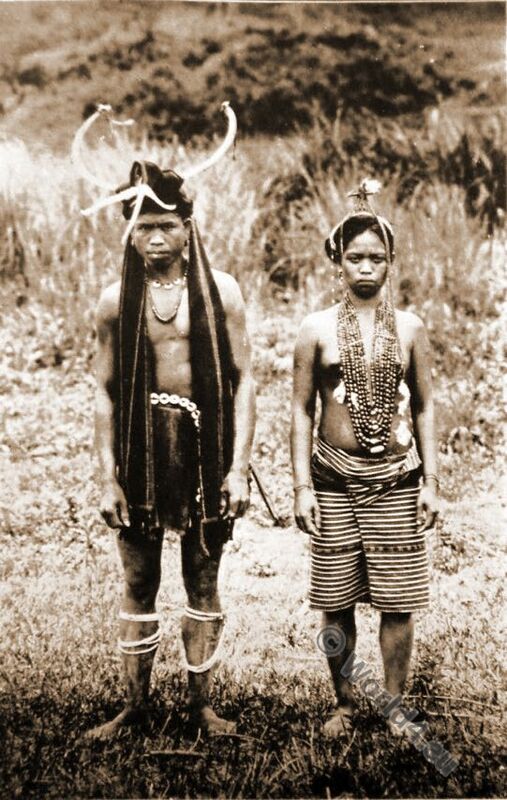 Ifugao couple. Philippine Islands. Home » Igorot Native. Ifugao couple. Philippine Islands. The Igorot (also Cordillerano) are an indigenous people living on the Philippine island of Luzon. Its territory is located in Cordillera Central, northern Luzon, and encompasses the Government district Cordillera, with the provinces of Abra, Apaya, Benguet, Ifugao, Kalinga, Mountain Province and Baguio City. The Igorot can be divided into two groups: the larger one populates the southern, middle and western regions, laying rice terraces. The smaller group settles in the east and north. Both groups were formerly head-hunters. Source: The Spell of the Hawaiian Islands and the Philippines by Isabel Anderson, 1876-1948. Publisher: The Page Company, Boston 1916. This entry was posted in 10s, 1916, 20th Century, Oceania, Philippines, Polynesia, Traditional and tagged American colonialism, Colonialism, Polynesia costumes, The Spell Of The Hawaiian Islands, Traditional Oceania costumes, Tribal Costumes on 10/13/16 by world4.